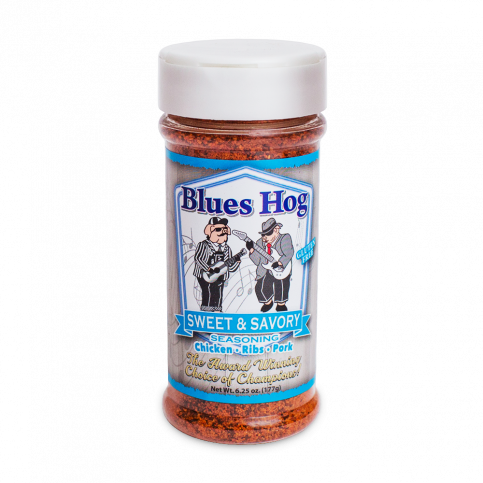 Blues Hog Sweet & Savory Seasoning is a blend of everything you’ve been looking for. Sweet & Savory offers a sweet flavor profile with a light smoky taste followed by a kick of heat. Blues Hog Sweet & Savory Seasoning’s versatile flavor pairs well chicken, fish, wild game, beef, veggies and it’s especially good on anything pork - ribs, pork loin, pork chops, you name it. 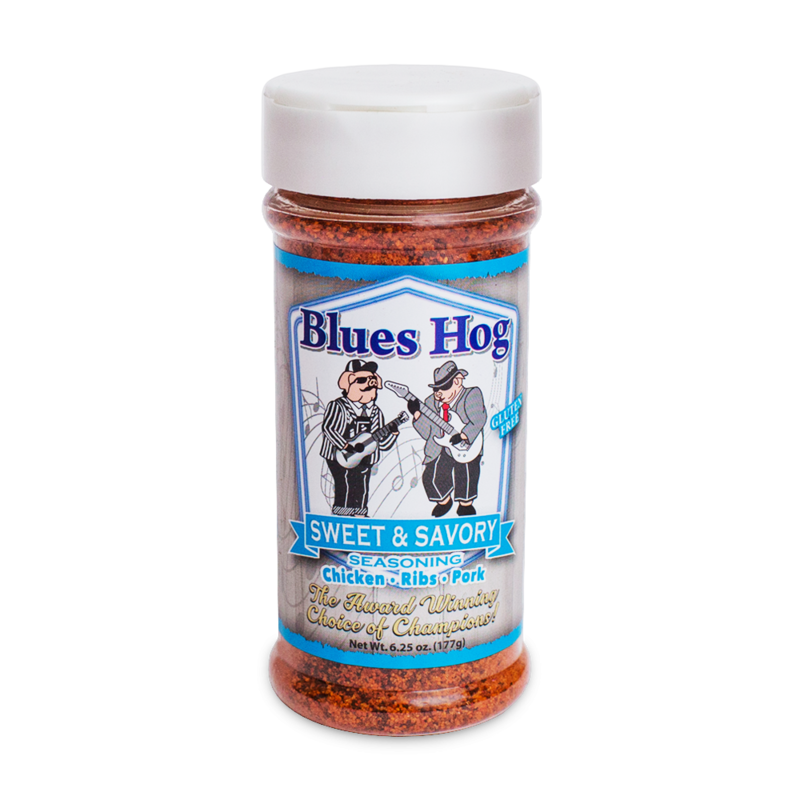 Swap out the salt and pepper in your recipes for Blues Hog Sweet & Savory Seasoning.